During 2007 the cottage has undergone a major refurbishment and the interior has been beautifully designed to provide a very special holiday experience. 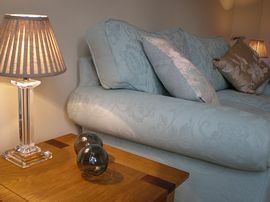 With lots of extra touches your stay at Admiral Cottage will be one you will talk about and remember for a long time. 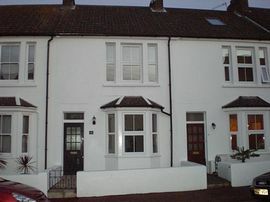 The Cottage is Victorian and is situated in the delightful village of Meads, on the outskirts of Eastbourne just a few hundred yards from the seafront. It comprises of a living room with through dining room, kitchen and a luxury bathroom with roll top bath and separate shower. There are two bedrooms, one double, one twin and a sofa bed in the living room. The living room has a digital flat screen TV with DVD and CD players. The cottage can accommodate up to six people. 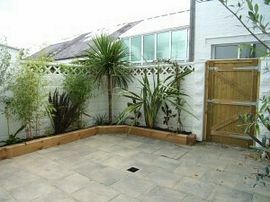 Outside is a superb courtyard garden which is ideal for al fresco breakfasts, lunches or BBQs. The courtyard can be accessed from the dining room onto a decked area for after dinner drinks or from double doors leading from the kitchen. The cottage is equipped with a BBQ and also picnic equipment for those memorable walks on the South Downs or days relaxing on the beach. 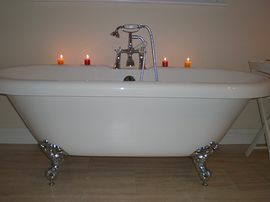 Luxury cottage for celebrations or restful breaks. Close to the seafront and South Downs. The Cottage is situated just off the seafront at the westerly end of the promenade. It is easily accessible by car. Five minutes taxi ride from Eastbourne Station and 1 hour drive from Gatwick Airport. 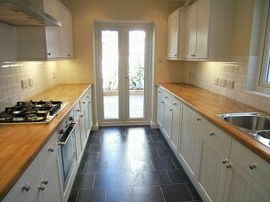 Rates from £400.00 per week in low season to £620.00 per week in high season. Open all year round with changeover day on Saturday. Short breaks available during winter months.